In fact the meeting with the prez and vice prez is so rare that the White House is bending over backwards to assure the entire nation that the president is not meeting with Yellen to try to influence the Fed, which is required to act independently of politics (so they claim). According to the White House, President Obama is meeting with the Fed chair and Biden to discuss the nation’s “longer-term economic outlook,” even though Yellen just told the entire nation that the economy was strong and had arrived nearly back at “full health.” The president says they will be “comparing notes.” Do their notes about the nation’s outlook disagree? “Compare notes” sounds sufficiently vague to cover everything imaginable. Either such meetings are, indeed, extremely rare, or the White House doth protest to much because they spent more time this week emphasizing what the president was not going to do than what he was going to do in assuring us all that the president will not try to influence Yellen. If such meetings with the Fed are so rare they require careful defensive explanation, why the sudden call of the meeting, oddly timed between two specially called, emergency meetings of the Fed — or, at least, “expedited” meetings of the Fed. It can’t just be that the president wants to plan what he will be saying at this week’s G-20 conference, if he’s to speak there. That kind of planning would happen in advance because one knows the conference is coming. One striking peculiarity of the president’s meeting with the Fed is that it appeared to have been called immediately after the Fed announced Monday’s “expedited” meeting of the Board of Governors. We are in an election cycle, and I already speculated in my last article that, with the anti-establishment, Fed-hating candidates Sanders and Trump doing so well in their bids for the presidency, we could be sure the Administration would be doing all it can with the Fed to put some accelerant on this economy and forestall the recession that I believe we have already begun. A recession would prove Trump and Sanders right in their statements about a coming recession or about the failed recovery actions of the Fed and Wall Street. So, the Fed and the President have every reason to work together to make sure an announcement of recession never happens. That could be what “comparing notes” on the economy’s future means — how do we assure the economy doesn’t fall apart in the next few months before the election since we have that common interest? A final announcement of matters considered under expedited procedures will be available in the Board’s Freedom of Information and Public Affairs Offices and on the Board’s Web site following the closed meeting. O.K. Two expedited, closed meetings in a row accompanied by a meeting with the president and vice president in between, which the White House, itself, associated with these closed-door meetings, that is so rare it required special White House defense as to what would not be happening in the president’s meeting between these two sessions. 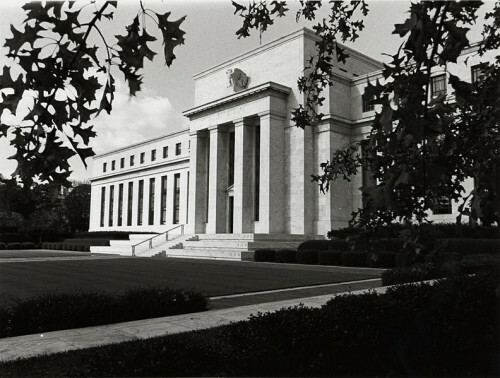 The first meeting was nominally to talk about setting interest rates, which the FOMC will be meeting to consider again later this month, having just postponed their scheduled increase in March. The second meeting is more interesting. If you have served on board or worked with boards that go into closed session, you know they always use the most generic terminology that is still truthful when announcing the meeting and when reporting in minutes what happened in the meeting. The fact that it is a bank supervisory matter makes it sound like a particular concern, not a general discussion about supervisory policy. Something is the matter somewhere that requires an immediate meeting right after another immediate meeting … behind closed doors. That particular matter immediately requires central-bank supervision. Boards hold closed meetings when they have to talk about specific institutions or individuals with details that they don’t want to go public. This all comes very close to sounding like some bank somewhere is in trouble, and the trouble is big enough to call a special meeting of the very august board of governors right after they just had a special meeting, and if you know these kinds of guys, they don’t like wasting their time in excessive meetings. Naturally, I am as curious as you probably are about why so many last-minute meetings behind closed doors and with the president and vice president at a time when all major central bank heads in the world will be meeting with finance ministers in Washington, DC. So, I cast about for some possible related stories in order to what could be the matter, and I found several very hot issues going on this same week. The president’s meeting with the Fed and the Fed’s two meetings with the Fed were all called right after the Atlanta Federal Reserve Bank revised the revisions of its previous revisements to say the US economy now looks like it will report in for the first quarter at 0.1% growth. It seems I cannot write fast enough to keep up with the Federal Reserve’s downward revisions of anticipated US GDP growth for the first quarter of 2016. No sooner did I click “publish” on my last article where I noted they had just revised their estimates of GDP down to a 0.4% growth rate than I read an article stating they have revised it again down to 0.1%! Isn’t this where I said this quarter was going? That last number is within a rounding error of going negative and is less then the margin of error for their data. It was only back in February that the Fed anticipated a cruising speed of 2% growth for GDP in the first quarter. They have revised that number down almost every week. Of course, the fact that the Fed and the President called an unscheduled, closed-door meeting to include the VP does not mean there is any connection between the events, and I certainly am not concluding even for myself that there is something dire happening here … but stay with me. There is more to perk the ears. That’s no minor announcement for a coincidence in timing. What if the numbers to be reported are even worse than has been anticipated, and the Fed is seeing bank trouble in some of those numbers, and the President has received advanced information about some of those numbers? What if they foresee turmoil as the numbers come out? All speculation on my part, of course. What isn’t speculation on my part is that Wall Street is already predicting that this week’s quarterly bank reports are going to look like the start of the Great Recession, and some pretty big players are using some pretty severe language. This spells trouble for the financial sector more broadly, since banks typically generate at least a third of their annual revenue during the first three months of the year…. Bank executives have already warned investors to expect major declines…. Citigroup Inc (C.N) CFO John Gerspach said to expect buy zolpidem uk trading revenue more broadly to drop 15 percent versus the first quarter of last year. JPMorgan Chase & Co’s (JPM.N) Daniel Pinto said to expect a 25 percent decline in investment banking. Several bank executives have warned about declining quality of energy sector loans. According to the Wall Street Journal, these defaults are from “massive energy loans that most investors didn’t even know about until recently.” The recovery rate of these bad debts is falling extremely fast. You can thank the Fed’s zero-interest-rate policy for that easy, crazy credit bubble! Is anyone starting to feel a little financial crisis deja vù? Last time it was declining housing-sector loans. This time, as I’ve been saying for the last few months we would soon see, it’s declining energy-sector loans. Same song, different verse. Looks like all of that is now materializing. Since we start the big-bank reporting season on Wednesday, we should know right away if this is the next leg down in the Epocalypse, but you will probably have some coded language to look through. Something as big as this would certainly merit a flash meeting with the president and vice president, multiple meetings of the board of governors, and a G-20 financial summit in Washington along with meetings with the IMF and World Bank. Not saying that’s what it is. Just sniffing out the kinds of stories that could be related to all these meetings, some planned earlier, others suddenly and all held somewhat secretively. After burning through 5.5 billion euros of taxpayer money to no avail and discovering a 7.6-billion-euro hole in its balance sheet still remained to be filled, Finance Minister Hans Joerg Schelling ended support in March 2015. Surprise, surprise, the bad bank created by the government to put a fence around all the bad debts of the original bad bank became nothing but a black hole of debt, swallowing all money poured into it with nothing to show for the effort. That didn’t stop Schelling from claiming the nationalized bank was in good health in order to put a good face on things, as leaders are inclined to do when dealing with really bad stuff in order to protect the public from a scare. Europe’s new rules were intended to make sure that depositors did not take all the loss and that tax payers don’t absorb all the loss. 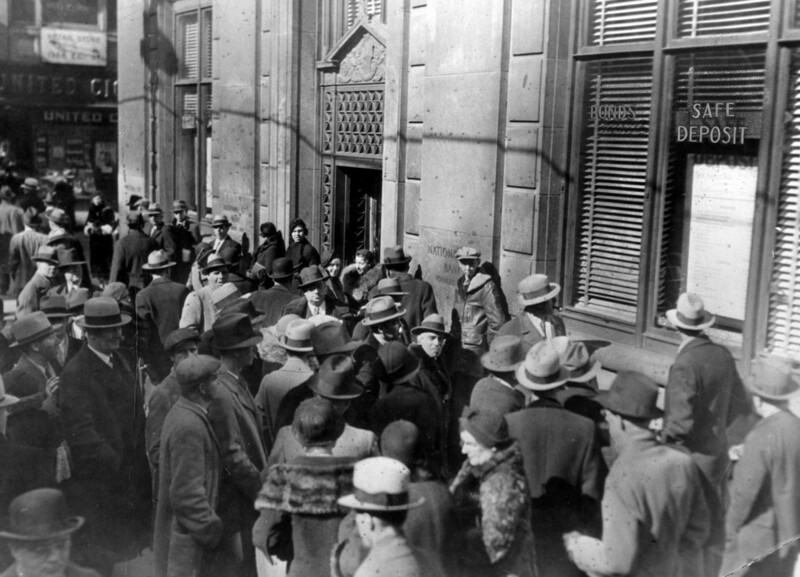 Heta, because it was a government created “bad bank,” apparently does not have depositors, as it was the creditors and stock holders who were pooled into the “bad bank” who take the hit. The preferred creditors at the Austrian bank have been told they will have to take a 54% haircut, meaning the bonds they have purchased will recover forty-six cents on the euro. The big-money (preferred) creditors of the bank, however, don’t like the new rules. They complained and are still holding out for ninety-two cents on the euro. That doesn’t bode well for anything being left for the smaller creditors, whose money will, in the very least, be kept in a lockbox for seven years because payouts to the non-Majors don’t wind up until 2023. The “subordinated liabilities,” as I understand the complex breakdown (for which I have been unable to find any clear definitions), appears to include bondholders who took a second position to the “preferred liabilities” in getting their money back and third-party investors in the bank. It also appears to include the partners in the bank. If so, then this is exactly how bank failures should happen. The investors are slated to lose 100% of their money first, allowing for the smaller loss by the bondholders. It is the investors who elect the board that governs the bank and who fill the board positions and who make the decisions of who will be CEO; so, of course, they should lose all of their money before anyone else does. Creditors (bond holders) should be next, as they are often large institutions like PIMCO that have more than enough capacity to investigate risk before investing. Depositors should always be last, as most of them have no capacity whatsoever to investigate the real risk of banks and nowhere near enough money to put into a bank to make it worth a serious and useful investigation of risk. They are acting in trust … and particularly in trust that government regulators are doing their job. Or maybe presidents and central bankers are just making sure things generally hold together through the election cycle. Such a bad-news week for banks around the world certainly doesn’t sound like all is well as our smiling central bankers, president and VP, say it is. I don’t know any top secrets to reveal, but the smoke is killing me. Looking to buy physical gold?